Underline alias titles. 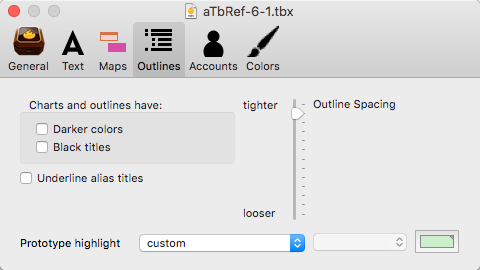 This allows aliases in Outlines (in fact all major views) to have their titles underlined in order to make them more conspicuous as aliases. Default: un-ticked. It is also useful for pre-v6 files where the specified $NameFont may lack an italic font variant: see more.